--added many more statistical details in order to better explain the accuracy of the equation. 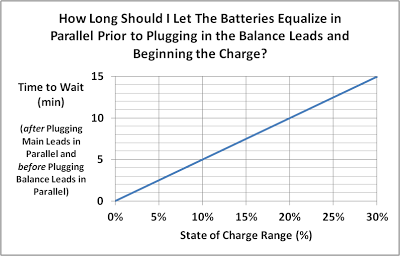 [NEW] Question About Over-discharged LiPo--How do I quantify the amount of damage done to the battery pack? Figure 1: a preview of what is to come - Static Thrust (left) & Dynamic Thrust (right). I have been interested in propellers for a very long time. I've also been interested in how they produce thrust, and how forward velocity affects that thrust. Therefore, I've done a lot of thinking about it, and put a lot of time into understanding them better. Here is an equation that I came up with to quantify the thrust produced by propellers. I wanted it to be a simple approximation, with a minimal number of inputs. 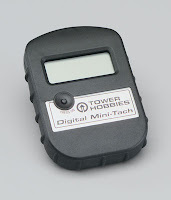 Therefore, it uses only the propeller's pitch and diameter (from the numbers on the front of the prop), and the RPMs at which the prop is spinning (this can be measured from a basic optical tachometer such as the one shown in the picture to the left). That's it! The expanded form is shown to help you see where some of the numbers come from. The simplified form is shown to help you put the equation into a calculator or Excel spreadsheet easier. 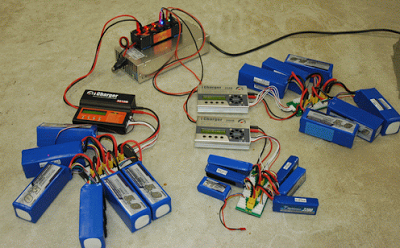 My blog name has now changed from "Getting Started in Electric Radio Controlled Aircraft," to "ElectricRCAircraftGuy.Blogspot.com -- Knowledge, Tips & Tricks for RC." However, all website links and addresses are unchanged. The "Staples Stingray" Glider Sneak Peak! -Bungee-launched, Free Flight....and flights up to 250 ft. altitude and 1/5 of a mile far! This is a sneak peak at my $5 "Staples Stingray" free-flight, bungee-launched glider I have very recently finished designing, modifying, and testing! The design is a modified version of the FliteTest Nutball RC airplane, which is a modified version of the original Nutball by GoldGuy. Getting into Scratch Building - 20+ Planes with One Motor and One Power Pod! I have been spending quite some time now (about 3 months), figuring out how to build a SIMPLE, INEXPENSIVE free-flight glider for the Boy Scout troop I work with, and this is what I came up with! I really think this plane does the trick, and it's tons of fun to launch, fly, and even chase and try to catch! I have also designed and tested what I call a "training fin" for the NutBall, which can easily be velcroed onto the top of the plane in order to make it self-right (roll level automatically) whenever it is banked. This is really useful for a beginner as well. (More to come on this; I need to write a post on it still too)." Here are some sneak-peak photos of my new Stingray Free-flight glider below. Here are some pictures of my hat-camera. No, this is not my original idea. I got it from other people online, and simply picked up some hardware from Home Depot that I thought would work best. Here are some photos of what I put together. I've been using the hat cam now for a couple years and it works great! It doesn't aim perfectly (it usually aims just a little too high when I am really close to something, and just a little too low when I am very far away), but it works well enough most of the time. The hat was free basically, since I had plenty of them lying around, and the hardware costed something like $3 maybe. Certainly a wise investment I'd say. So, I am married. If you are too, or if you talk to any females regularly, you'll know as I know, that this concept is really hard to get (and I'm still trying to learn it :))......that is........IT'S NOT ABOUT THE NAIL! For those of you who have tried a 3-Channel micro helicopter or two (ex: virtually any helicopter that you might see at a mall), you are probably ready to try something a little bit better. Well, don't go out quite yet and spend hundreds on a 6-Channel fully acrobatic collective pitch heli. Rather, get a nice single-rotor 4-Channel beginner micro heli that can take some abuse while still teaching you more skills. Once you master a micro 4-Channel heli, then take the step up to a several hundred dollar 6-Channel helicopter, and start flying slowly and carefully as it will be much more difficult still than the 4-channel heli. So, which one to buy? Well, I have the HobbyKing FP100 ($29 + shipping) (also see the "v911" eBay links below) (shown to the right), and I love it! It flies very well, gives you those extra skills you need while providing more challenge and capability, and yet is still so light that it is durable and can take quite a few crashes without breaking. And if you break it? --you can buy spare parts! How is this different from a 3-Channel Helicopter? A 3-Channel helicopter has a left stick which controls throttle, and a right stick which controls pitch and yaw. There is no roll control, and pitch is extremely limited, since it is done simply via a tiny horizontal propeller near the tail which spins to create lift and slightly raise or lower the tail, thereby providing forward or aft movement. A 3-Channel heli, therefore, is very limited in control authority, and can rarely go faster than a walking speed. Another serious limitation is that they usually use infrared transmitters, which have a very short range, and are affected by sunlight. Therefore, they are usually only indoor helicopters due to their ultra limited control (inability to counter even the slightest wind gusts), and infrared antennas which are susceptible to interference from the sun. (Note: infrared transmitters are usually identifiable by a small, usually red, plastic cover near their top, instead of an antenna). So, what is the extra channel on a 4-Channel helicopter? Model Aviation magazine recently posted this article online, and I wanted to share it with the rest of you, so here is the link. It is a good article, and many of you may find it useful in helping your landings and approaches. The author doesn't come at the topic of landing from a completely beginner perspective, however, as it seems more tailored to helping someone improve their basic landing skills rather than develop for the first time any landing skills. It is by a man named Dave Scott, of RCFlightSchool.com. Note: most recent additions are at the top of this article. I suppose I watch my fair share of videos that I find amazing or inspiring. I am going to begin to save some of them. I will save them at this post, so check back from time to time. Raffaello D'Andrea - The Astounding Athletic Power of Quadcopters (added 14 July 2013) - this has got to be one of the most impressive and fascinating things I've ever seen! Click the link above to watch the video. If you have any questions or comments while reading this, or any other article, please post it in the comments section below the article. Thanks! So, over a year ago now I discovered the Flite Test NutBall and Delta Wing (both wings, separated from the power pod, are shown in the picture above and to the right). These planes are unique in that FliteTest came up with the ingenious idea to use a single motor, speed controller, and receiver combination in order to power multiple airplanes! This is a fantastic solution, as it allows someone to get into this hobby VERY economically, and all of the planes are built using Dollar Tree foamboard (ADAMS Readi-board), shish kabob (bamboo) skewers, hot glue, popsicle sticks, and packing tape! ~By Gabriel Staples, 24 Feb. 2013. -link added for a USB extension cable. Since I recommend so often to beginners in RC that they purchase the Thunder AC680 charger, I thought I better at least help them learn how to setup the computer software for it, which can be a little bit tricky, even for the computer-literate person. First off, I'd just like to say that I love this charger, and it makes an *excellent* starter charger for someone looking to get a fully functional, computerized, smart charger capable of charging, discharging, cycling, and balancing. 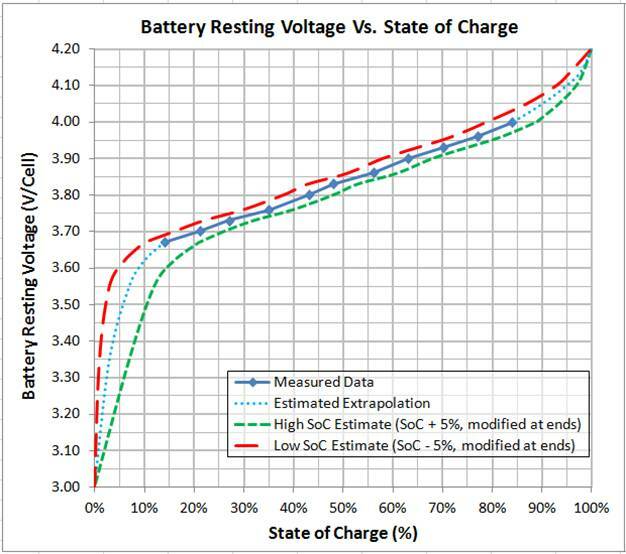 This charger can handle LiPo/LiFe/Li-Ion, NiMH/NiCad, and Pb battery chemistries. To the layperson, this means that with the right connector, it can charge any rechargeable battery in your house, car, or workshop. That's pretty impressive. 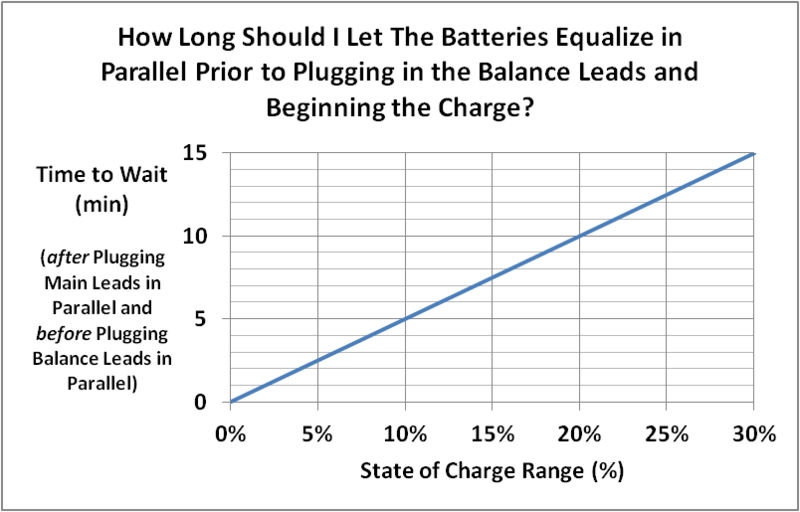 Also, by using it to discharge a battery, you can measure the capacity (mAh) in the battery to get an idea if the battery is any good, and whether or not the manufacturer of a cheap rechargeable battery (on ebay for instance) ripped you off. I've used a charger like this to charge and/or discharge (to check the capacity) of cell phone batteries, camera batteries, airsoft gun batteries, 18V cordless drill batteries, and dozens and dozens of various RC aircraft or radio transmitter batteries. Lastly, by using the charger's cycling abilities, I've been able to reduce or remove the "memory" effect of many of my old NiCad batteries, and I've even been able to bring back "dead" NiCad batteries, which were over 10 years old!, to at least a usable condition after years of sitting around unused. To top it all off, this charger is available for ~$55 with shipping from hobbypartz.com, which is a steal-of-a-deal. Many chargers of this quality sell for 3x this much, so I have got to say, I am extremely impressed. So, tonight I decided to do an experiment to see how large of wire could be used with my favorite connector, the genuine XT60, from HobbyKing. Ultimately, I determined that a careful hand and hot iron (60W recommended, as my "Beginner RC Airplane Setup" document explains here) can easily handle wires at least up to 7 AWG, which is a very large diameter wire. In my experiment, I twisted two 12AWG wires together, to make a 7~8 AWG-equivalent wire, which I then soldered to an XT60 connector with no problem. A smaller diameter wire, such as a 10 AWG, can easily be soldered to an XT60 connector with this iron linked above (as this is the exact iron I used). 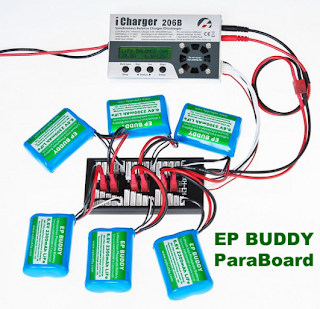 However, as 10AWG wire is capable of carrying currents much greater than 60A, you may be interested in using the larger XT90 connector, on which 10 AWG wire comes standard on a HobbyKing XT90 parallel harness or serial harness. XT60-style connectors are my favorite, hands down, for my personal use. The 60 means "60 Amps," so as long as your *continuous* current is 60A or less, use these connectors, with any wire up to about 7 Gauge or so (though 14AWG wire is large enough to do the trick). Anyway, for 60A or less continuous, or ~100A peak (<=30 sec), XT60's are the way to go. For 90A continuous, or ~140A peak, use XT90's. For 150A continuous (250A peak), use XT150's. Also, as a side note, 10 AWG wire is designed to easily handle a high voltage 90A continuous current over short distances (you can verify using this online calculator here, with values of 1% loss, 22.2V DC, 90A, and 0.3m cable length), but again, if your system pulls <60A continuous, feel free to use XT60's, even for wire such as 10 AWG or as large as 7AWG. -My goal was to see if large gauge wire (10AWG or larger) could be soldered to the XT60 connector, in order to use this connector to replace other large, bulky, or cumbersome connectors on very large battery packs where you need less than 60A continuous current draw. (Note: if you ever replace battery connectors, be very careful not to short out the battery leads by cutting off both wires on the battery connector at once. Rather, cut off and solder one wire at a time to a new connector). -Results: I successfully soldered the equivalent of 7AWG wires onto an XT60 connector. I did not try to solder wires any larger, as this was large enough for the purposes of my experiment. THIS DOCUMENT IS INCOMPLETE, BUT HAS MANY GOOD LINKS, PICTURES, AND RESOURCES BELOW. IT WILL BE FINISHED IF PEOPLE BEGIN REQUESTING THAT I FINISH IT, OR IF THERE ARE MANY QUESTIONS ABOUT IT, WHICH YOU CAN PUT IN THE COMMENTS SECTION BELOW THIS POST. --Since FliteTest has already done so much to support the build of this aircraft, it is likely that the links and pictures I already have below will suffice. Be sure to check out my Center of Gravity section below, however, as it pertains specifically to the 24" diameter NutBall, which FliteTest does not build. As you will see in their links below, they prefer to build their 19 1/3" version of the NutBall. So, one of my friends I just helped get into RC was looking at my article above ("Buying Parts for the FliteTest Nutball Swappable - All at Once") the other day, and he asked me if I could post some dimensions, pictures, etc., and a few notes about how I built the airplane. So, that's why I'm writing this post. You may also check out this article here, titled, "Swappable Nutball and Hots Dart"
All plans are available here. To download them, click on the file you want, then go to File --> Download. A brief description of the files is below. NutBall_full 17''.pdf - these are the 17 inch diameter plans. I don't use these, but here they are in case you want them; I prefer the 24" diameter NutBall. This is a one-page view. NutBall_tiled 17''.pdf - these are the 17 inch diameter plans, tiled so that you can print them out on a regular printer, cut off the excess paper, and tape them all together to get full-size plans. NutBall_24_tiled - build this one!!! (will require 2 sheets of 20'' x 30'' Dollar Tree Foam).pdf - these are the NutBall plans I use. They work great. I prefer the 24" NutBall over the 17" of 19" NutBall, by the way, because it is still very easy to use Dollar Tree foamboard, and it has waaaay more wing area than the 17" or 19" versions, so it will have a much lower wing loading and hence be able to fly much more slowly. It will have more of a "floaty" feel to it (which is good), than the other two versions, assuming all other things are equal. -For your information, the 17", 19", and 24" diameter versions of the NutBall have wing areas of 908 in^2, 1134 in^2, and 1810 in^2, respectively. That means that the 24" diameter NutBall has 99% more wing area than the 17" NutBall and 60% more wing area than the 19" diameter NutBall. Again, this means it can carry much more weight and/or fly much more slowly. swappable fuse & Delta fins (print ''poster'', 100%, w-Cut Marks, Labels, & 0.5in overlap).pdf - this file contains the swappable fuselage plans I used for my NutBall and Delta wing. It also contains the Delta wing fins if you want them for building the swappable Delta wing plane. Using Adobe Reader X, print as the instructions say in the file name (ie: poster, 100%.....etc). The fuselage, firewall, and delta fins are to scale, but the landing gear is not. It's shape is correct, but not its size. swappable delta (print ''poster'', 100%, w-Cut Marks, Labels, & 0.5in overlap).pdf - Delta plans. here they are if you want them. Estimated cost of airplane only, with *no* electronics: $5~$15. Estimated cost of optional colored packing tape (for decorating): $5~$45, depending on how many colors you buy. Estimated cost of building supplies: $25~$40. two $1 sheets of 20"x30" foamboard from the Dollar Tree (note: this is ADAMS brand foamboard). Precision Screwdriver set: --add link to the Husky set I have, as well as the decent Harbor Freight set. Estimated build time (this does not include electronics installation): 4.5~5.5 hrs. for the experienced builder, including electronics installation; 6~10 hrs. for the novice builder. The Jumbo Popsicle Sticks are used to make control horns. Click here for the file, then go to File --> Print. Make sure to print the file Actual Size, NOT Shrinking it or Fitting it to a Page. Ideal CG: 5.5"~6.0" back from the leading edge of the wing, measured right along the wing root (ie: down the centerline). The CG on this plane, however, can be about as far forward as you want (I didn't go farther forward than ~5.0"), and as far back as 6.5". With a CG of 6.5" the plane can be very fun to fly and with large control throws does back flips (EXTREMELY tight, approx. 3 ft. diameter loops), and flat spins very well. However, inverted flight is horrible with the CG at 6.5" back, as the plane is somewhat unstable and hence trims out with some down-elevator. For nice inverted flight, 5.5~6.0" back works nicely. This is a short (very windy) flight review and verbal description of my FliteTest Swappable NutBall airplane. It flies great, is a blast to fly, and is a solid, economical aircraft! I made it for ~$70 or so with *everything* I needed, minus the Tx and charger. I also used home-made jumbo pop-sickle stick control horns. Despite its 3-channel control, it is very maneuverable and acrobatic, as the video shows, yet with small surface deflections and a reasonably-sized motor, it can also be a very docile and forgiving flyer, well suited to a beginner. As a matter of fact, with a moderately-sized motor (120W~200W) (or using a 300W 3S motor on a 2S LiPo), and with small control throws, I'd say this airplane is a solid beginner airframe (but slightly skewed more towards the intermediate side of the beginner spectrum). With a hot 300W high-speed setup and large control surface throws, as in this video, however, it becomes an exciting intermediate to expert airplane. The setup in the video has a top speed of ~60mph, and in a dive, I've approached probably 80mph. The first time I did that, however (not recorded :( ), the high speeds caused the vertical stabilizer to flutter and snap nearly off. It folded down against the body and made a loud "snapping" sound as it slapped against the body. I quickly slowed down and the vertical stab. popped back up part way and I made a safe landing in the grass. A bamboo shish-kabob skewer embedded in the vertical stab, and some hot glue, fixed this problem. 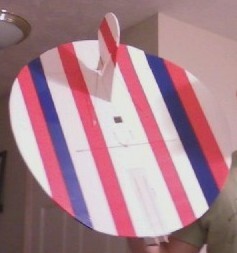 I used Dollar Tree foamboard (20" x 30") sheets, x 2, to make this airplane. List of Recommended Beginner parts for the NutBall can be found here: http://electricrcaircraftguy.blogspot.com/2013/01/buying-parts-for-flitetest-nutball_31.html. 19 July 2014: Hey look! Hobbyking sells a small, EPP (ie: very durable foam) version of the Nutball now! See here. So, this week I built a NutBall (see my NutBall in action here) to give to a friend turning 18. He has no RC equipment whatsoever, and I am only giving him the airplane, with no electronics. Here it is all ready to go (see picture ot the right). It only took me a little over 4 hrs to put together this time, since I've done this a few times before. It just needs the motor, battery, ESC, servos, etc. Note: if any items are back-ordered (the stock status is listed at the bottom of each item on HobbyKing, to the left of the price), then you may want to do two separate orders: one with in-stock items, and the other with out-of-stock/backordered items. This is to help speed up the shipping, as standard shipping takes 3~5 weeks from Hong Kong, and waiting for a back-ordered item can hold up your order an additional 1 week to ~2 months+ or so (backordered items usually mean about 3~4 weeks extra waiting, but this can be longer or shorter). (So....you may be wondering why I don't purchase elsewhere with this type of slow shipping......well, here's my reasoning: If you want something quickly instead of inexpensively, remove several of the items below because they are so difficult to find elsewhere, then multiply the price of the remaining items by a factor of 3 or 4, and that is the price you can expect to pay at many store-front shops). Transmitter (Tx) and Receiver (Rx), HobbyKing HK6S $29: http://www.hobbyking.com/hobbyking/store/uh_viewitem.asp?idproduct=16239&aff=281904 - Note: one really nice feature about this transmitter is that it has a low voltage alarm which turns on at 8.5V to help you know when your transmitter battery is low. When the red LED starts to blink, and the transmitter begins beeping, it is time to change (or charge, if applicable) the transmitter battery. Dollar Tree foamboard, $1/sheet x 2 sheets = $2 for the 24" NutBall version (get plans for it on my post here). control horns, $0.50, http://www.hobbyking.com/hobbyking/store/uh_viewitem.asp?idproduct=8235&aff=281904; or, as I prefer, build your own from jumbo Popsicle craft sticks (see here, under the 4th section, called "Build the Plane"). Having a well-balance prop can potentially make a huge difference in minimizing vibration and power losses and prolonging your equipment life. For propeller-balancing instructions, techniques, and tips, read the Top Flite Power Point Propeller Balancer manual, pgs. 3-6, here: http://manuals.hobbico.com/top/topq5700-manual.pdf. Of the three methods described in the manual, I prefer "method 2" (using super glue and accelerator to add weight to the back side of the light blade on the propeller). Note: this may seem like a lot, but REMEMBER: most of this equipment is support equipment you have to buy ONE TIME (ex: batteries, charger, glue, radio transmitter, battery voltage checker), or parts that come in bags with enough pieces for 2~4+ planes (ex: prop savers, wheel collars, music wire, control horns, velcro, bamboo skewers). Not only that, but the power pod is swappable! THEREFORE, THE COST OF YOUR NEXT PLANE WILL ONLY BE ABOUT $15~$20, OR LESS, IF YOU USE THE SAME SWAPPABLE POWER POD but buy new servos, OR ~$70~$80 if you buy a new motor, speed controller, battery, and receiver. See how cheap this can be once you get started!? Clear Packing Tape at Walmart or wherever else you choose to buy it. – good for repairs where the full stickiness and strength of strapping tape is not needed. Scotch strapping tape at Walmart, Meijer, or wherever else you choose (strapping tape has fiberglass strands running down it), or on Amazon here for only $5.09! ***Dual temperature*** Hot Glue gun and glue, ~$15 (with glue sticks) from Walmart. “Dual temperature” means that the glue gun MUST have dual heat settings, high/low so that you can use low setting when you need to and not melt the foam plane, yet you still have high to help it heat up faster and get more sticky on surfaces that can handle a little more heat (hotter = more sticky). You can also buy a good one of these glue guns from Amazon here: http://www.amazon.com/Adhesive-Technologies-0443-Two-Temp-Cordless/dp/B001689XCQ <-- Note: I own this exact glue gun and it works well. It works fantastic for RC planes and has a nice, precision tip and hasn’t broken on me with regular use in the past 4 years I’ve had it. If the glue ever gets jammed (has happened a few times after being on high heat for very long periods of time), pull the glue stick out, pull off the melted portion that may be getting stuck in the gun, re-insert glue stick, and continue use. I use the “high” heat setting to heat it up quickly, then I switch to “low” once it’s hot so I don’t melt the foam. About 1 minute before each use, I switch back to "high" to get the glue sticky and easier to squeeze out, then during use I switch back to "low" so it doesn't get too hot. This process can take some practice, but ultimately you know the glue is hot enough when it is hot enough to burn you if you don't roll it off your fingers, but cool enough to *not* burn you if you *do* roll it off your fingers. You're smart, figure it out. :) So far that I have found, the quality can’t be beat for its price, though better dual temperature glue guns do exist. Please leave your comment below: So, would you recommend this list of parts for a NutBall to a friend? Why, or why not?